Mi Barra is a bar in Tijuana, Baja California, Mexico. This picture was submitted by an independent contributor. 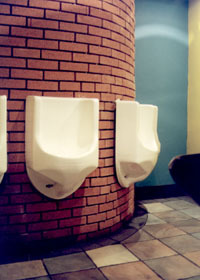 He points out that these are waterless urinals.